Sailcorp is a personable, responsive, creative, environmentally-minded and pragmatic design practice. To Sailcorp, a sucessful design is the one that is creative, improving the enviroment and have a long term impact. Our customers are individuals, businesses and corporates. We listen to the customers, join in and be a part of their culture, missions, value and targets. We blend intensive research, planing and designing to create an environment that meet business objectives like working, studying, living and health care. To have a sucessful building, it requires a good coordination between designing and constructing. The designer who has construction experience will do better than the one who design merely and vice versa, the contractor who has architecture knowledge can do details more aesthetic than the one who is mere construction. Investor – Architect – Contractor, we all work together so that we can make the projects be Aesthetic, Comfortable and High Quality. Package design and construction is a suitable choice for your project. 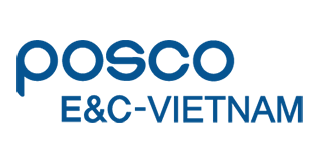 Sailcorp has experience in the construction field for over 09 years. Our works have high quality and aesthetic. Our engineers and architects have conquered the challenges of structure and complex decorations that keep the architecture better. We have managed the construction schedule according to the commitments and monitored the work process closely. 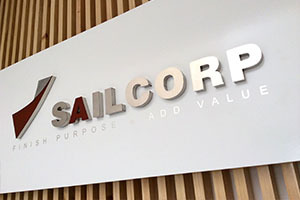 Wherever we work, our goal at Sailcorp is the same: to finish Purpose and add Value. Creating successful porjects is not only our forte, it is our mission, our very reason for being. Having worked in 22 provinces, Sailcorp has designed and built more great Offices, Hotels, Restaurants, Retails, Luxury Villas on Vietnam. Many of Sailcorp’s projects have become successful and become famous places. Sailcorp is a professional architecture design and construction contractor. To provide our Customers the optimal facilies solution value via unparalleled quality and service, resulting in the maximum return on invesment, thus contributing to the success of thei organization. The ultimate goal of every client is the creation of Value – a maximum return on investment. Project Quality, Cost and Schedule are key factors in determining that Value. Man contractors view those factors as diametrically opposed; that is, they belive quality is achieved only with higher cost and more time, or that fast – track construction requires the sacrifice of quality and cost. SAILCORP generates Value based upon the balance and optimization of Quality, Cost and Schedule. SAILCORP’s unique Project Comtrol System, with its detailed time management protocol and meticulous procedures, actually shortens construction time and lowers cost without reducing quality. Projects are delivered on time and within budget. Value is maximized, and as a results, return on investment for our clients. Value is the client’s ultimate goal; integrity and an unflinching dedication to performance is SAILCORP’s every project, every time.